Esotropia is an in-turning of the eyes. The most common type of esotropia is congenital esotropia. This usually presents at a very early age (before 6 months) and is characterized by a very large misalignment of the eyes. This type of esotropia typically responds to surgical realignment.  Older children can also aquire esotropia, typically at 2-4 years of age, in a condition called accommodative esotropia. This is frequently associated with a large amount of farsightedness or hyperopia. As kids try to focus on objects the eyes strain and pull inward. Glasses can provide the focusing power for these children, reduce eye strain, and straighten the eyes. If there is a residual misalignment after glasses, then surgery may also be needed.